Did you ever poke cloves into a baked ham for the holidays and wonder where cloves come from? They are unopened flower buds that grow on a clove tree (Syzygium aromaticum). Before you plant a clove tree, you should learn a little about clove tree problems. Read on for an overview of clove tree issues and other problems growing cloves. Clove trees are evergreen trees that are grown for their aromatic flowers. The trees grow to 50 feet (15 m.) tall. The branches are erect and flowers grow near the branch tips. The clove tree’s green leaves, white flowers and bark all smell spicy, but the actual cloves are the unopened flower buds. Clove trees can live to be more than 100 years old if they do not have any serious clove tree issues. But problems growing cloves are not infrequent. This can include both disease and insect pests. Sumatra disease – One of the problems with clove trees is termed Sumatra disease (Ralstonia syzygii). This might be the issue if you see clove tree leaves yellowing and dropping. The tree die-back starts from the crown and works its way down. This can cause the clove tree to die within three years. 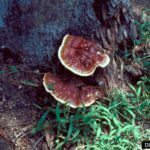 Growers can inject an antibiotic called oxytetracycline into the tree to slow the decline of infected clove trees. However, this is one of the clove tree issues that has no known cure. Eucalyptus canker – Another of the serious clove tree issues is termed eucalyptus canker (Cryphonectria cubensis). This is caused by a fungus that enters the tree through a wound. The fungus travels down until it reaches the branch junction and all branches above the junction die. The best way of managing these problems with clove trees is prevention. Avoid damaging trees with machinery and tools. You can also treat wounds with fungicide. Coconut scale – Another one of the problems growing cloves you may face is an insect pest called coconut scale (Aspidiotus destructor). Look for leaves yellowing, turning brown and dropping prematurely. The scale looks like red-brown spots on the foliage. Each one is a flattened oval. These scale bugs also attack coconut, tea and mango crops. Prune out the infected parts of the tree to prevent additional damage. Alternatively, use chemical controls. Soft scale – Another type of scale, soft scale (Ceroplastes floridensis) is white or pinkish in color. These scale pests are also round and small. If the population gets too large, scales promote sooty mold. Introduce natural enemies of the scale to control them. Alternatively, spray on horticultural oil. Keep the trees healthy since vigorous trees are less susceptible to scale damage than those which are stressed.